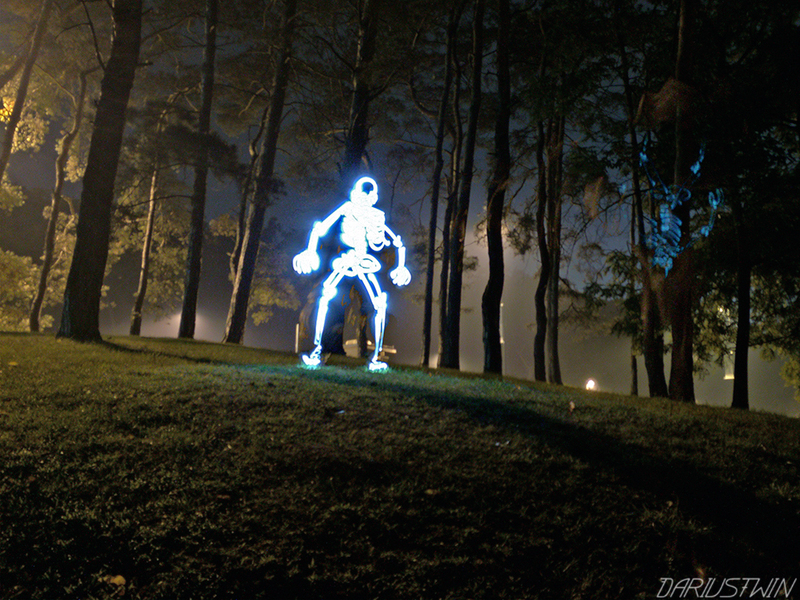 Here's a how-to post for anyone that's not sure about buying an expensive DSLR camera, but still wants to experiment with light-painting and night-photography. To shoot these type of images you have to be totally dialed in! It takes a bit of practice, but once you get the hang of it - it's a great option to have on hand when you don't happen to have a DSLR handy! I used Night Cap Pro to shoot these images, but there are other good options like Slow-Shutter app. The right app settings are crucial to pulling this off! 1. 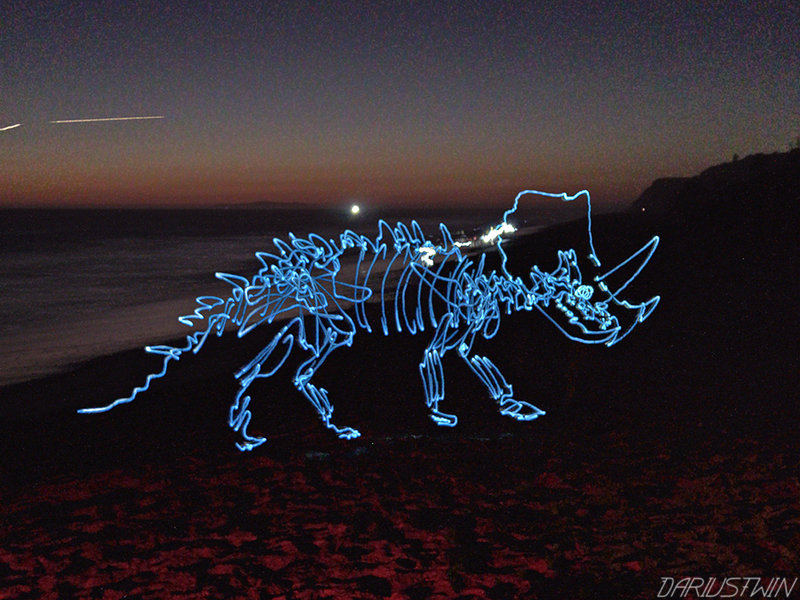 Start off with selecting 'light trails' - tap the star icon on the right to toggle this option. 2. Just above the star is a lock button for once you get your settings down - don't do it yet, but just know it's there and that the green light should be on for at least 'FOC (focus)' and 'EXP (exposure)' options before you start your shot. 'WB (white balance)' is not something I used very often - I think it's set to 'auto' if you do nothing, which looks fine. 3. Adjust the exposure setting by sliding your thumb up on the right side of the viewer - I go with 1/2 - do this unless you want your light-lines to be dotted (no thanks!). 4. Set your ISO - I went with 50, but I've tried higher - 400 is ok, but it starts to get pretty noisy after 800. 5. Set your focus using the bottom slide-toggle - '0' is for super-macro stuff while I'd assume '100' would be for far away star-trails. I usually go with something from 69-75 - this is good for that 35mm look that most of us are familiar shooting with. 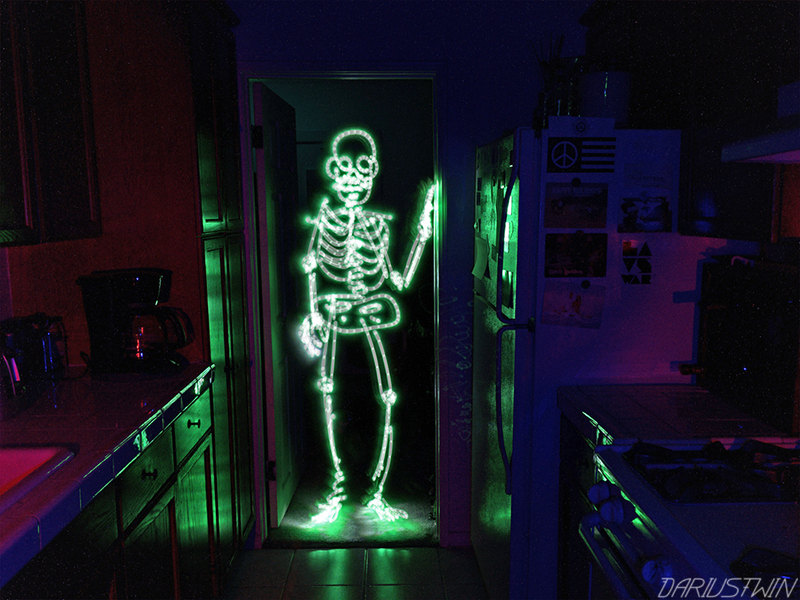 Now that you've got your settings locked (Exp + Foc have green dots) you are ready to start your light-painting! Tap the large button to start (it turns red when on) and tap it again once you are finished with your light-art. Turn your Auto-Lock off. 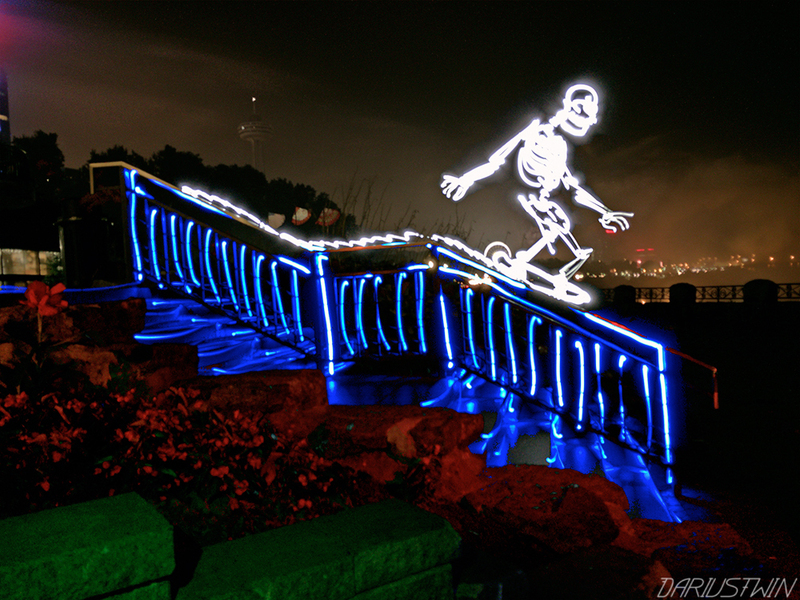 You don't want your camera shutting down during the middle of your light-painting, right? Here's how you do it: Go to 'Settings', select 'General', select 'Auto-Lock' - switch to 'Never'. Bonus Tip: Dim that light-source for best results! My first results light-painting with the iphone were pretty dismal - I found out quickly that the bare Night-Writer light was too bright for the lens. I tried diffusing the LED with a crumpled-up receipt which resulted in more balanced exposures. Color-Tips worked great for diffusing the light also. The reason you need a fairly dim light-source is because your phone has a tiny lens, with a tiny sensor, and mostly automatic features - like what aperture to use when shooting in dark environments. You're best option to get a well-balanced exposure is to control the brightness of your light-source. Bright light is great for casting toward environments, but not for using toward the lens (light-writing). A good rule of thumb: If you can glance at the light without hurting your eyes, so can the camera. 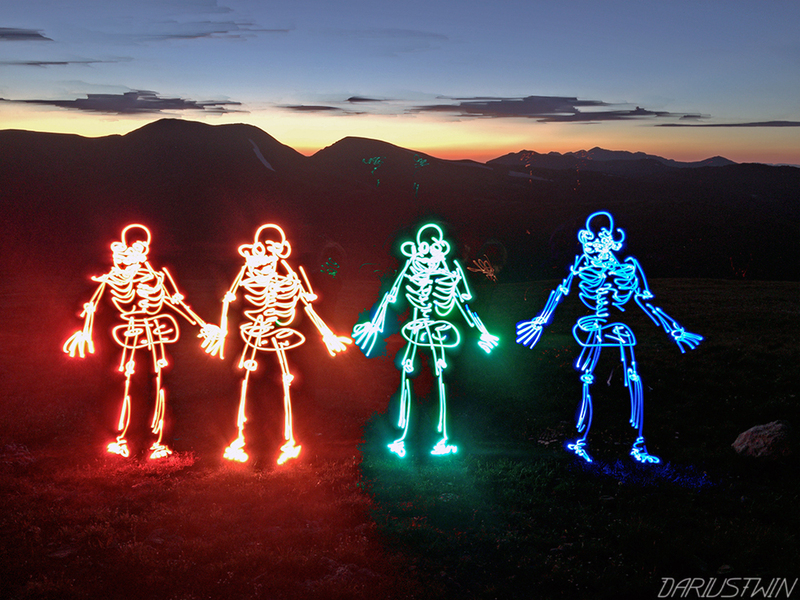 More tips and tricks for light-art photography can be found in the EDU section.